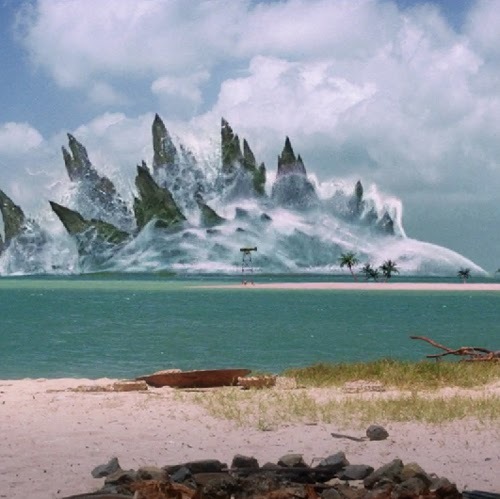 What kind of horror does a tsunami caused by Godzilla make? On the morning of Friday February 28th, Total Film was among a select few that were able to see 20 minutes of extended footage. They share a few spoilers and finished with a few quotes from godzilla 2014 director Gareth Edwards. Read the Gareth part followed by one of the more a harmless spoilers. Thematically, he wanted to explore: "Man vs nature, the fact that if you mess with nature you're going to lose." In the film, "Man is no longer the alpha predator on this planet." But nature wasn't the only influence on the flick. Edwards said that anime and manga played a part during the storyboard process: "When we got stuck, we'd say 'What would Akira do?'". Which, obviously, was incredibly exciting to hear. But there were other reasons: "We wanted him to be big, but also we wanted to be able to hide him, because that's more fun." You will have to go to TOTAL FILM and read "Godzilla (2014) Extended Footage Reaction" in order to read all the spoilers. We share one of the more harmless spoilers below. It describes a graphic tsunami scene and a description of Godzilla. No plot spoilers here though. A huge tidal wave starts to build, and we follow a crowd as they flee through the city. This sequence is pretty powerful - almost resonant of news footage, reminding us all of the natural disasters we've been forced to to witness in the real world in recent years. In one incredible shot, we see bodies caught in the water pass by a glass door, shot from the viewpoint of people safe inside. It's sickening to see the bodies tumble past, caught in the current. Then we cut to the big guy. Godzilla himself. We see his hands - they look fantastic, ridiculously canon - then his broad midriff, then onto his huge tail as it sweeps through the city. Soldiers shoot, but to no avail.